The purpose of Valley Park’s Missions Committee is to serve as the hands and feet of Jesus Christ. We serve and obey God’s commands to care for the community – to serve the sick, the hungry, the downtrodden, those having short-term financial problems – anyone who needs God in their lives. We invite all members of the congregation to be involved in mission work. Valley Park Church is actively involved in Missions both at home and abroad. Every week our church serves the community with our food pantry. Every Spring we offer scholarships for post high school education for high school graduates. We also participate in missions partnerships with the local American Baptist Churches of Los Angeles, the Southwest, and Hawaii, (aka ABCOFLASH). We assist those in need locally, especially Faith in Christ Ministries. With the American Baptist Churches, USA we serve as good stewards of God’s resources and are God’s witnesses in our homes, church, community, nation, and world. We show the world the love of God and our faith in Him by what we do. 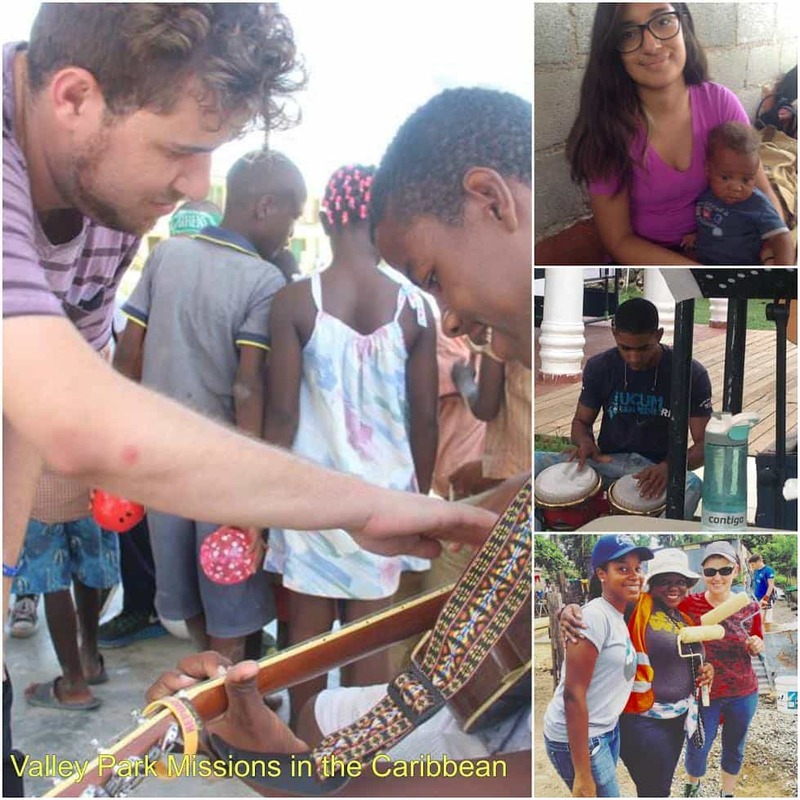 In the past five years, teams from Valley Park have served in Nicaragua, Haiti and the Dominican Republic. Our mission trips to Nicaragua were medical missions and teaching Vacation Bible School. In Haiti, we visited various orphanages and taught Vacation Bible School. While in the Dominican Republic, we partnered with YWAM to build a home for a family. The Missions Committee usually meets on the second Sunday of each month. If you have suggestions for a local, national, or international mission project, please contact the Deacon of Missions, Jai Belcher. Click Here to see another video of our Missions Team in action.